Who hasn’t heard the Legend of Sleepy Hollow? It’s long been one of my favorites. Ms. Palombo has given it a different spin. In the sleepy little village of Sleepy Hollow, a new teacher has arrived. As the wealthiest member of the town, Katrina’s father is hosting him until he finds lodging with his students. When Ichabod Crane and Katrina meet, there is an immediate connection on both sides and soon they are stealing away to the woods where their friendship turns to passion and love. The two lovers come from very different worlds and Katrina’s father is determined to marry her off to her childhood friend, Brom Van Brunt, who has become a rather unpleasant fellow vying for her affections. 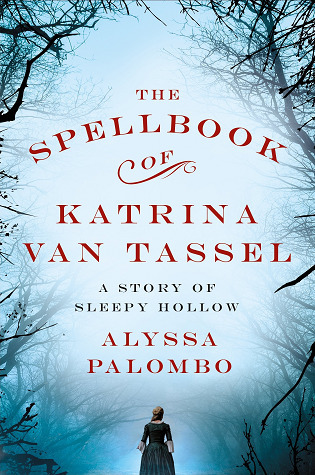 When Ichabod disappears on All Hallow’s Eve, Katrina is devastated and in a predicament. With little choice but to marry Brom, she is miserable and her heart still belongs to her love. When she enlists her friend Charlotte’s help to find out what happened, she is shocked to her core. Could the tale be more than just a scary story? Is the Headless Horseman real? And what will happen when she discovers what happened to Ichabod and who is to blame? A story of love, magic, and timeless tales. Well Done! FALL INTO A COZY MYSTERY! This sounds like a perfect read for the season! It made me cry. Very few do! Ooooh I want this book too. Sounds so good. Oh my this sounds like a great read! Thanks!